This month I have started an internship at MoMu. For those who are from Antwerp need no introduction about MoMu. For those who aren’t, MoMu is the Fashion Museum in Antwerp. Although I work there only one day a week, I cannot stress how much fun it is to be writing excerpts for their blog and to be browsing through their fashion archive which consists 100year and + old books and magazines! 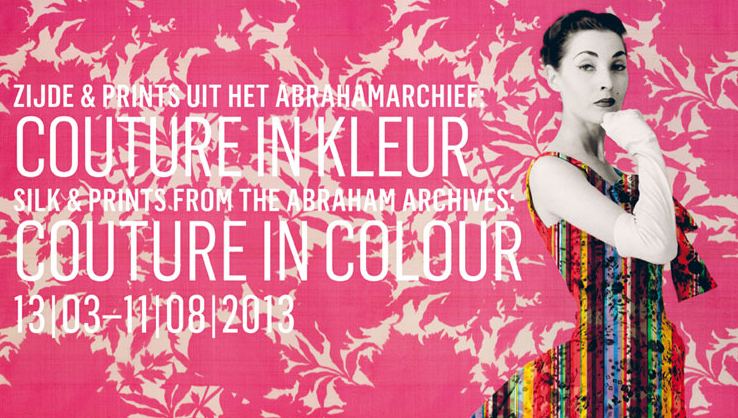 MoMu is now preparing a new expo called Silks & Prints from the Abraham Archive. COUTURE IN COLOUR (13.03 > 11.08.2013). If you like fashion, fabric and prints, then this expo is right up your alley! Previous Post Previous post: Monica Harmony, the brand. Wow een stage bij Momu, zalig! Wat studeer je? Wat leuk dat je dit mag doen! Sound like a great opportunity – and really fun to boot. wow, that sounds like an amazing opportunity! wow congrats! Sounds like a great opportunity. Have fun! Congrats on the new fabulous job! Sounds like this is the perfect element for you!! That’s looks like very interesting job.